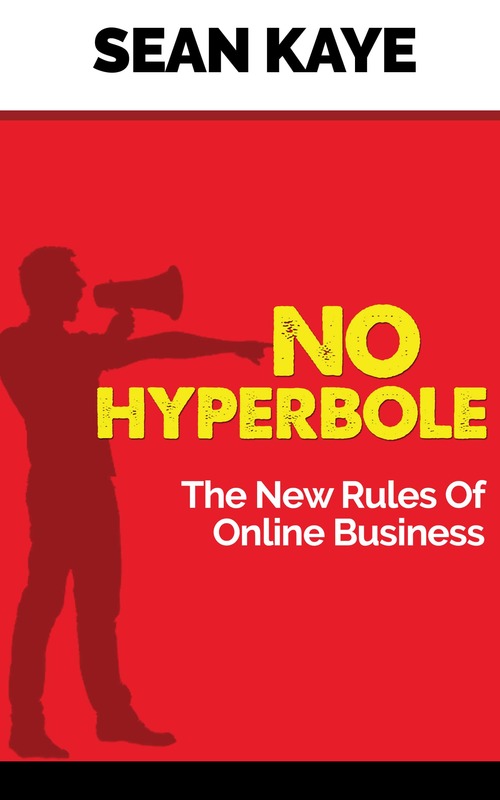 Whenever I talk to someone who has prefaced the conversation with the idea that they are struggling to make their online business successful, I can pretty much predict that the conversation will revolve around a few simple issues. In most cases, the person simply doesn’t know what to sell the audience. They are pumping out free content, they’ve identified their “crowd” but then it comes down to the simple question, “How do you monetize that?” and they have nothing. The truth is they just don’t have a viable offer. The next most common problem is that there’s no audience or they can’t seem to find any way to reach people they think might be interested. Cutting right to the chase, the reality in most cases is that the audience doesn’t exist – this person is following the “Do What You Love” trope and are shocked that there aren’t that many left-handed midget underwater basketweavers looking to join a paid forum on the internet. Seriously, that one grinds my gears. Every market worth entering has competition, but honestly, there are very few markets that are closed off entirely. Things like insurance, dodgy loan products and a few other markets are virtually impossible to crack without a huge bankroll but everything else, you should be able to make some kind of headway. And that’s entirely true, you’re probably never going to outrank the top sites for those big keywords in Google. But why are you competing head-to-head with The Wirecutter and The Verge for that kind of keyword? That’s obtuse. Online, you aren’t necessarily competing AGAINST other sites so much as you are competing ALONGSIDE them. The first thing to remember is that in almost every single market customers look at information across a range of places. The days of people just going to one blog or one site for all of their news and data are gone. Everyone is a savvy search user now and people know that they need to get a diverse range of information before landing on their position. The other thing worth noting is that the same thing applies to most products – customers often buy multiple products for something they are interested in. Using headphones, I have like three or four pairs – AirPods, a couple of sets of Beats, we have some Seinheiser’s laying around the house and then there are a few random cheap over-ear sets we’ve picked up over the years. The underlying problem in both of these is zero-sum thinking with respect to competition – if they win, I lose. That’s patently not true, especially online. The first thing I try and do is shake people out of that kind of scarcity mindset because if it limits their ability to compete, then it is probably limiting them in a bunch of other ways across their business and probably their life in general. I often use an SEO example – I will take them inside a tool like Ahrefs and show them an average keyword. Then I’ll go through and look at the pages of individually of each of the sites ranking in the top ten for that keyword. Those individual pages rank for dozens and sometimes even hundreds of other keywords and they are all vastly different from each other. It’s the ultimate in abundance – competition in that instance is a point in time intersection of interests, but beyond that those pages and sites are running their own race down different paths. Where it gets even more apparent is you see those pages having wildly divergent traffic flows that often exceed the keyword volume of the word we searched for. That’s right, you can see the #10 page attracting more traffic over than the #1 page because it’s not a zero-sum game – ranking for that one keyword isn’t the end all, be all, it’s just a singular aspect of the overall competitive landscape. That’s an SEO example because illustrates the point I’m making very well, but you can easily find other examples of where businesses compete on certain things, but both are individually successful. You need to remember that you can be successful even in crowded competitive markets. It will be much harder and take longer, but that’s only to be expected – you don’t deserve to be successful, you earn it. 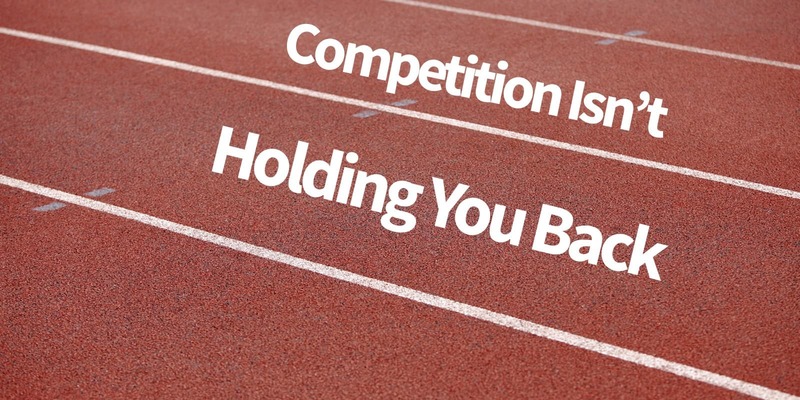 The simple strategy is to remember that you need to compete alongside your competition – that you’re looking to ALSO serve your market and not replace your competitors. Once you get that element of your mindset squared away, it makes it much easier to find those kinds of opportunities for you to slot yourself in to.